The Goldenflame Dojo, located deep within the Thunderpeak Mountains, began teaching the art of striking in 247 CM. It was founded by a young Thallan noble named Zarys Allathan after he learned all he could from traditional monk temples. Scholars also theorize that the Allathan family fled Pax Thallos at this time to avoid the religious revolution that was sweeping across the region at this time with the founding of the Temple of Dunes. The school was an instant success, and attracted students that sought a more primal form of martial training than could be received from their local garrison or monastery. Now many offshoots of the original dojo dot the face of Draconspire. Although often confused as traditional Monks, a Striker’s strength comes from pure combat power and toe to toe brutality. Adventures: What better training ground to improve one’s martial ability than in the real world? Strikers may be out to find a challenge, or to overcome some personal goal. In any case adventuring comes naturally to Strikers. They are almost always a welcome addition to any adventuring party. Characteristics: The Striker is an amazing warrior, and they know this. While not as armored as a Fighter or a Barbarian the Striker is no doubt as effective in a battle. Alignment: Dojo life tends to lead a Striker to the Lawful side of ethics, however the Goldenflame school of thought does not discriminate based on ethics or morals, but rather one’s ability to fight. Making this profession more populated than the rigid life of a Monk. Religion: The Goldenflame does not devote itself to any particular deity but rather allows its members to worship whomever they choose. Not to anyone’s surprise most Strikers pay special homage to Radiance the Battlemaiden. Background: Strikers come from all corners of Draconspire, from the empty deserts of Pax Thallos to the thriving metropolis of Dana. The typical student might take up the Goldenflame for any number of reasons that one might need to better themselves. The nation of Tirmordane trains special units of Strikers for service in the army. The city of Sil allows a dojo of the Goldenflame generous private grounds within its vast metropolis in exchange for service to the city. 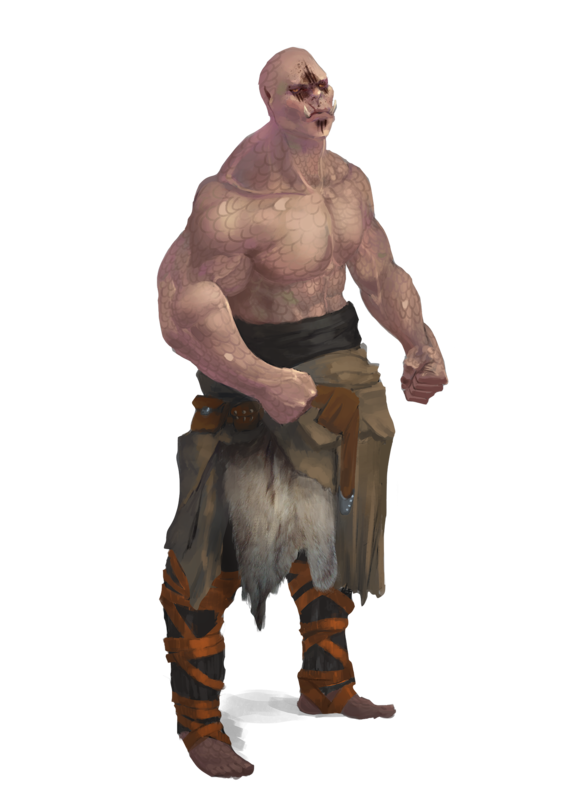 Races: Strikers are mostly human from the urban centers of Tharstelding, however the occasional Mountain or Hill Dwarf training in one of the many mountain dojos is not uncommon. Elves make decent Strikers, especially Mountain Elves who are already renowned for brute power. Other Classes: Strikers enjoy the company of other Strikers, of Monks, Fighters and Barbarians. Many Strikers will admire Clerics of Radiance. Strikers often enjoy the ability of Clerics that can heal them from a tough battle. Sorcerers, Wizards and Druids often puzzle a Striker as they usually have limited exposure to such magic. Rangers are not uncommon in the mountain dojos and they often show respect for a Striker’s ability. Role: A Striker’s primary role is a front line combatant. While not as armored as a Fighter or tough as a Barbarian the Striker can hold his own. A Striker also makes a decent scout due to the lack of armor that they wear. Strikers have the following game statistics. Abilities: As a front line warrior the Striker benefits well from a high Strength and Constitution score. Most of the Striker’s skills focus on physical statistics. Dexterity is also important to a Striker due to his lack of armor. Wisdom help’s a Striker succeed on Will saves. 1. The value shown is for Medium Strikers. See table below for Striker Unarmed damage for small and large Strikers. The Following is a list of class features for the Striker class. Multi-class Restriction: A Striker may not advance in Monk levels, nor may a Monk advance in Striker levels. Weapon and Armor Proficiency: Strikers are proficient with simple weapons and unarmed attacks. Strikers are not proficient with any armor or shields. A Striker equipped with armor or a shield may not execute the Combo class feature, and loses the benefit of the Naturally Tough class feature. Unarmed Strike: Strikers are highly trained in fighting unarmed, giving them considerable advantages when doing so. At 1st level a Striker gains Improved Unarmed Strike as a bonus feat. A Striker’s attacks may be with either fist interchangeably or even from elbows, knees and feet. This means that a Striker may even make unarmed strikes with his hands full. There is no such thing as an off-hand for a Striker striking unarmed. A Striker may thus apply his full Strength bonus on damage rolls for all his unarmed strikes. Usually a Striker’s unarmed strikes deal lethal damage, but he may choose to deal non-lethal damage instead with no penalty on his attack roll. He has the same choice to deal lethal or non-lethal damage while grappling. A Striker’s unarmed strike is treated both as a manufactured weapon and a natural weapon for the purpose of spells and effects that enhance or improve either manufactured weapons or natural weapons (such as the Magic Fang and Magic Weapon spells). A Striker also deals more damage with his unarmed strikes than a normal person would as shown on the table above. Combos (Ex): Whenever a striker threatens a critical hit he may immediately make an additional attack against the same target using the same bonus as the threatening attack. He then resolves the original critical threat as normal. A Striker does not threaten a critical hit on this special attack. This class feature only applies to unarmed strikes, and can only be executed with unarmed strikes. Naturally Tough (Ex): When unarmored and when not equipped with a shield the Striker may apply his Constitution modifier to his armor class as an armor bonus. Quick Block (Ex): By 2nd level the Striker has taken their fair share of punches, and has learned a trick or two for better defense. Once per encounter as an immediate action a Striker may add a +2 dodge bonus to armor class against a single attack made against them. The use of this ability must be announced before the die result. This bonus increases to +4 at 11th level. The quick block ability cannot be used if the Striker is flat footed. Magic Strike (Su): Beginning at 4th level, and every four class levels after, the Striker adds a cumulative +1 enhancement bonus to hit and damage. At 4th level the Striker’s unarmed attacks are considered magic for the purpose of overcoming damage reduction. Sidestep (Ex): At 5th level the Striker learns to make the best of position, once per encounter as a swift action the Striker may move to any adjacent square that they could normally occupy. This movement does not provoke an attack of opportunity and cannot be performed if the Striker could not otherwise take a 5 foot step, such as when a Striker is prone. Intimidating Stare (Ex): At 7th level the Striker has a mean mug that can shake the resolve of most foes. They may add their strength modifier to all intimidation checks made to demoralize an opponent. Bonus Feat: At 10th level the Striker gains a bonus feat, this feat must be selected from the list of combat feats. Roll with It (Ex): By 13th level the Striker learns how to avoid being vulnerable while prone. As a move action while prone the Striker can “roll” to any adjacent square they could normally occupy. This movement does not provoke an attack of opportunity. Knee Master (Ex): At 14th level the Striker has learned to use his knees whenever possible. As part of a full attack action the Striker can make an attack with his knees as a secondary attack. This attack is made at the Strikers highest base attack -5 and does damage equal to the Strikers unarmed attacks + ½ strength damage. Elbow Master (Ex): At 17th level the Striker has learned to use his elbows whenever possible. As part of a full attack action the Striker can make an attack with his elbows as a secondary attack. This attack is made at the Strikers highest base attach -5 and does damage equal to the Strikers unarmed attacks + ½ strength damage. Hard Blows (Ex): At 19th level the Striker has learned to use their strength to their maximum potential. They may now add 1.5 times their strength modifier to all damage rolls made with an unarmed strike. This bonus does not apply to secondary attacks. Physical Perfection (Ex): At 20th level you have reached the pinnacle of physical perfection. You gain a +4 perfection bonus to your strength, dexterity and constitution. Training (Ex): At 3rd level, and every three class levels after, the Striker can choose any training for which he meets the listed prerequisite. No Training may be selected more than once unless otherwise noted. For trainings in which an ability score is the prerequisite, the Striker loses the benefit of the ability if his ability score ever drops below the prerequisite amount. +4 Competence bonus to escape artist checks. Your unarmed strikes are treated as either cold iron, silver or adamantine for the purposes of overcoming damage reduction. Choose one energy type (fire, cold, electricity or acid), your unarmed attacks now deal an extra 1d4 points of damage of the selected energy type on each successful hit. Your attacks can power through an object or creature’s hardness. For every point of Magic Strike you have obtained you ignore 3 points of hardness from your target. Each time you hit a target its spell resistance is reduced by 1 until the start of your next turn. Each time you hit a target its damage reduction is reduced by 1 until the start of your next turn. Each time you hit a target its reflex saves are reduced by 1 until the start of your next turn. Each time you hit a target its fortitude saves are reduced by 1 until the start of your next turn. Each time you hit a target its will saves are reduced by 1 until the start of your next turn. Whenever you score a critical hit you may make an automatic trip attempt as a free action which does not provoke an attack of opportunity. If you fail your trip attempt your opponent may not make a trip attempt against you. Choose one energy type (fire, cold, electricity or acid), your unarmed attacks now deal 1d6 of the chosen energy type on each successful hit instead of the 1d4 granted by Golden Spark. Once per encounter as a swift action you may take an extra move action. You gain hit points equal to your current Striker level, furthermore every level you advance in the Striker class grants you an additional hit point. When advancing in Striker levels you gain 4 + your intelligence modifier in skill points instead of the normal 2 + your intelligence modifier. You gain Blind Fight as a bonus feat and a +2 to all perception checks. You may ignore the Striker’s multi-class restriction. Monk levels gained stack with your Striker levels for determining the characters unarmed damage on the Striker table. Once per encounter you may re-roll any one single die roll, you must accept the second die result, even if it is worse than the 1st. Once per encounter you may add your Striker level to any single attack roll, you must announce this before rolling the attack. If successful you may add your Striker level to damage, use of this ability automatically overcomes any type of damage reduction. Once per encounter you reduce the damage that you take from any spell, spell like ability, supernatural ability, trap or other attack by ½. You must announce that you are performing this maneuver prior to damage being announced. Your unarmed strikes gain the wounding weapon special ability. Causing 1 point of bleed damage on each strike. Each time you score a critical hit with an unarmed attack your target takes 1 point of wisdom damage. Each time you score a critical hit with an unarmed attack your target takes 1 point of dexterity damage. Each time you score a critical hit with an unarmed attack your target takes 1 point of constitution damage. Each time you score a critical hit with an unarmed attack your target takes 1 point of charisma damage. Each time you score a critical hit with an unarmed attack your target takes 1 point of strength damage. As a full round action you may make a single unarmed attack, this unarmed attack is automatically considered a critical threat.